Christmas is fast approaching, and that means Christmas shopping. I love buying presents for my friends and family, and making sure that they really fit the peoples personalities, so below are some of the goodies that my family will be receiving this year (so if you are related to me, stop reading now) as well as some snazzy finds I am lusting over! 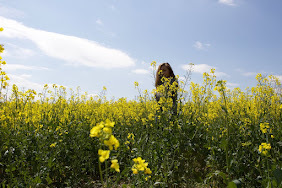 So grab a cup of tea and get comfy as this is a long one. 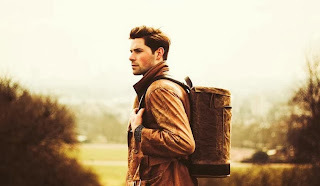 The Bashilo Backpack £175 is for the keen adventurer in your family (one with seriously good taste). These bags are made of the finest British waxed cotton and vegetable tanned leather while the metal fittings are made in an Italian workshop exclusively for Azo Equipment. These bags are fab for work or play, with room to store your laptop and all of the rest of your snazzy belongings. 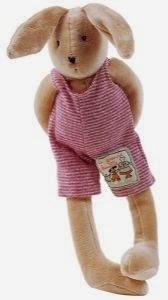 Sorry girls but sadly the hunky man doesn't come with it, it's a shame I know! 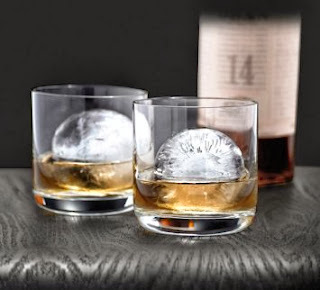 The Tovolo Ice Sphere Tray £15.99 is a fab present for those whisky drinkers, ice spheres melt slower than cubes meaning less dilution and more time to ponder by the fire. 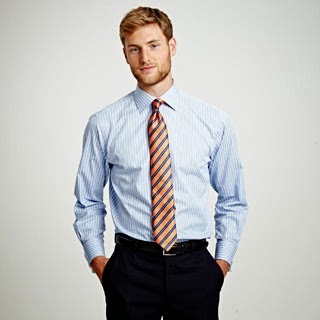 A rather cliche gift but one that will always be appreciated is a nice shirt, I love this Prescott Stripe Shirt £89.00 from Thomas Pink. My father has asked for a new shirt for Christmas and his reasoning for this and I quote is 'I need to start working after Christmas as October to December is shooting season' so obviously you cant work at the same time, oh Daddy you little slacker! This Butcher's Kitchen Apron £21 is for the carnivore of your family aka my brother! Retro Leather Buckled Camera Strap £47.50 from Magpie Accessories is the perfect gift for the shutter bug of your family. This little gem is fab for the jet setter in your life, and hurrah its unisex Molton Brown Unisex Jetsetter Stowaway £46.00 , everyone loves nice bathroom smellies, they brighten up the dullest of work trips in the grottiest of hotels. I have always got a Molton Brown shower gel in my stocking (thank you Father Christmas) and always have one in my bathroom. 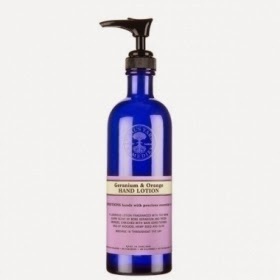 Neals Yard is the best smelling shop in the world, it smells of goodness, and this Geranium and Orange Hand Lotion £12.50 is one of my faves, I have given this as a gift multiple times, it is a lovely lotion to put next to your sink, to keep your hands hydrated and smelling of rose, geranium and fresh orange. Jo Malone Peony Blush Suede Cologne £39.00 is my cologne of choice, (its actually on my Christmas list!) Jo Malone sells amazing cologne and candles and definitely something that any girl would be happy with. 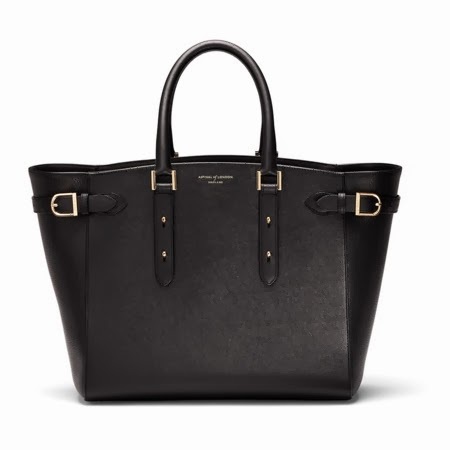 The Aspinal Marylebone Tote is something I am lusting over (hint hint). This arm candy is a serious Christmas show stopper and one that would make the lucky recipient squeal with joy, but at £795.00 your wallet may be left a little lighter! I love totes, and these are fab, the Bend it like Bikram Bag £16 has to be my favourite, I'm a 90's child and 'Bend it like Beckham' was a film I watched on repeat, I could pretty much quote it. 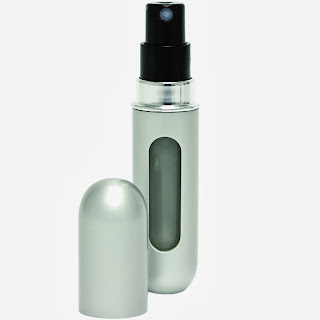 The Travalo £9.49 is a nifty little gadget that lives in my handbag, it is a refillable travel perfume (which is aircraft approved), it is super easy to fill with your perfume of choice and means you can smell gorgeous 24/7 without lugging around your big glass bottles. 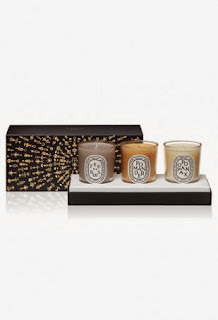 Diptyque are my favourite candles but picking a scent for someone can be difficult, so this coffret is a fab way to introduce people to the brand, Holiday Coffret £60.00 holds three mini candles Fue de Bois (my Winter favourite) Pomander and Opopanax. I love Lily Charmed Necklaces £27.00 they are excellent quality and you can personalise them, which is fab. This is a great prezzie for the competitive family with a good lawn! The Six Player Family Croquet Set £130 by Uber Games is a fab set, having six mallets is great as you can play with a good gaggle of friends. 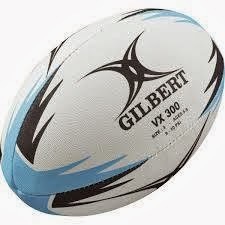 A rugby ball will keep any little boy (or big) amused, it's also a fab way to run off those extra pounds you put on over Christmas. The Dangerous Den Kit £103 is the perfect present for your little explorer, my brother and I loved making dens when we were little, ours however were a little less civilized! Personalised gifts are great, but this is a present that is definitely needed before Christmas. 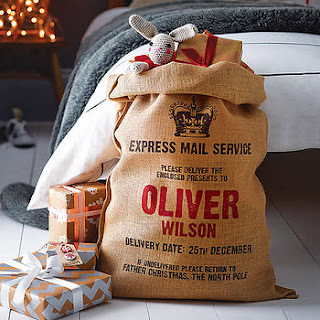 Father Christmas needs somewhere to put all those prezzies and a Personalised Christmas Sack £22.00 is perfect. For your little Darcy there are Silver Cloud Tutu's, a perfect prezzie for your little girl. These gorgeous tutu's by Angel's Face are available at Selfridges for £55.00. 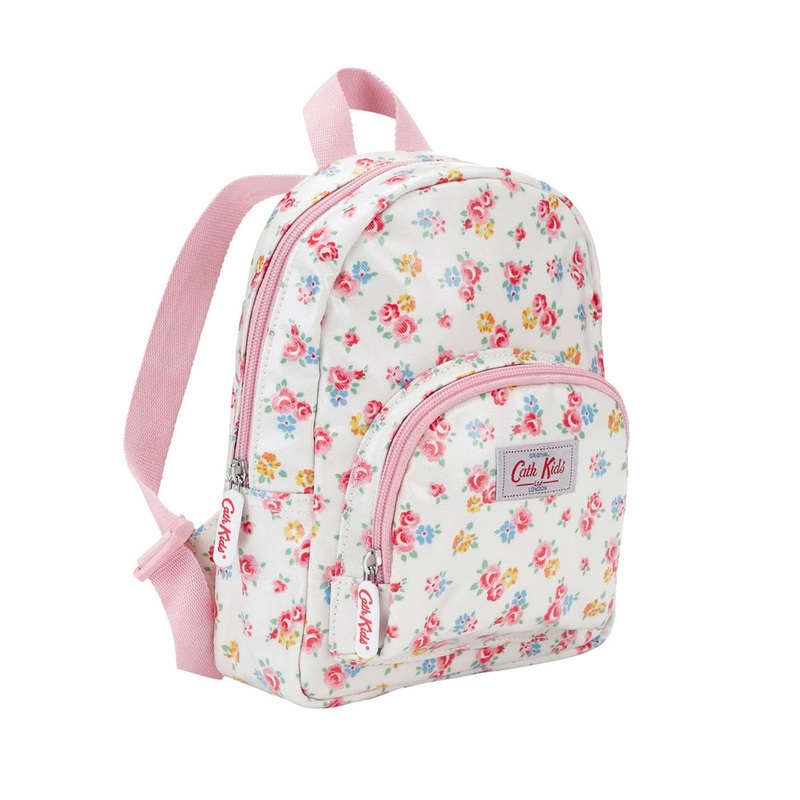 Every girl needs a little bit of floral in their lives, even if they are only two, the Freston Rose Kids Mini Backpack £16.00 is perfect for taking to nursery, and filling with snacks and toys. The Personalised Hooded Baby Robe £25 is for the tiny tots enjoying their first Christmas, after a lovely bath you can bundle them up in this gorgeous fluffy dressing gown with ears! This bunny is a little cutie, my mother gave it to my second cousin when she was born and it is now taken everywhere with her. It is made by Moulin Roty £19.00 and is the Sylvian Rabbit, it is the cutest little toy and makes the best of companions for any tot. The Rocking Sheep £175 by Sticks and Stones is gorgeous, it is the kind of child's toy that isn't offensive to look at and would be perfect in either a child's room or a living area. It is handmade from pinewood and upholstered with natural sheepskin, the real deal. Do you LOVE or LOATH Christmas Shopping?